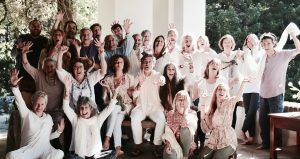 Knowing that our Sangha family in the US is celebrating Thanksgiving, we as European Sangha would like to express our gratitude for our spiritual family, for sharing this beautiful Path, and for the abundance, life has given us through being connected within this powerful field of our Teacher. We share a truly exciting adventure, through so many dimensions and so many different rasas this experience has to offer – from the most silly ones to the most terrifying. 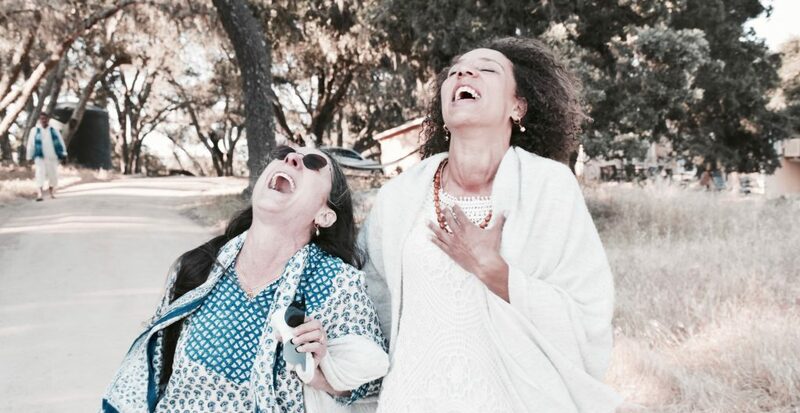 It is It is often very challenging to surrender to the all-consuming fire of the Divine, and the understanding we find in the Sangha circle, the support we are giving each other, is very significant. But not only that – since the ways of Shakti are magical, we often complement each other and are mirrors to each other in such orchestrated ways, that only divine intelligence can evoke. At times it can be difficult, because we trigger our biggest resistances and fears, and yet we always experience the safety of a container, that is held and protected by the loving guidance of our Teacher, for the purpose of our own evolution. At other times it can be a blast, sharing the most exalted states of bliss and liberation. We truly walk through lifetimes together, willing to be naked without masks, vulnerable, encouraging and transparent. What we taste, learn and integrate in short time here among each other allies our hearts forever. We are blessed to share the recognition of the indescribable nature of this Teaching and to give ourselves into this incredibly profound process side by side. Therefore we reach out across that vast pond, that reflects the magnitude of this experience which we all share, and the gratefulness we hold in our hearts, to wish our brothers and sisters a wonderful time of celebration with their families and loved ones.